Truly Cleveland's Clark Avenue viaduct was one of the prime attractions for a railfan visiting Cleveland, Ohio, as it provided a front row seat for much of the intense railroad activity in the Cleveland Flats. 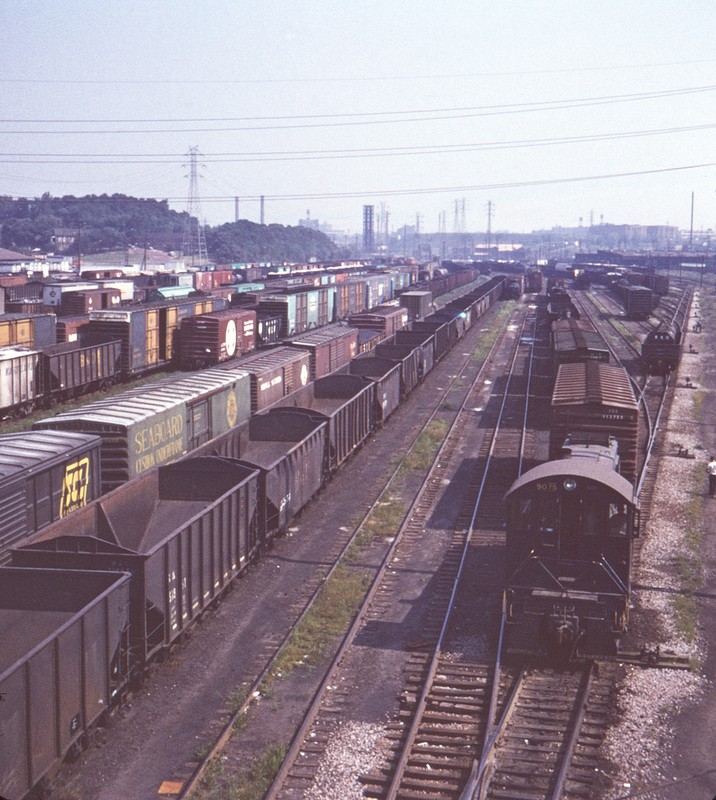 Here we see the south end of the Baltimore & Ohio's Clark Avenue Yard, looking north. The lift bridge in the far distance marks the crossing of the Cuyahoga River, and the B&O's engine facility can be seen in the upper right. Switcher no. 9075 is about to pull a cut of cars underneath the bridge. Today most of Clark Avenue over the Flats is gone.